Yoga has become highly popular in the past years, especially since more and more people decided to adopt a healthier and more active lifestyle. It can be a great form of relaxation and meditation, with strong benefits for the mind and the body. Moreover, yoga is one of the most affordable sports to practice as you’ll only require the minimum – a pair of comfortable pants, a tee, and a brand new yoga mat. So, whether you decide to stretch your muscles or tone your body and relax your mind, here are some great products that we think are useful for you. This product is available in both an audio CD format and an MP3 format and makes a wonderful yoga gift for passionate people. You will find plenty of relaxation tunes for each moment of the day. Whether you have trouble sleeping or you want to meditate or relax in the comfort of your own home, the Calm Within CD is perfect for you. Each song is based on unique principles of sound and rhythm to help you connect with your inner self and enjoy some quality time alone. The tunes represent a form of healing your heart and brain and are suitable for both babies and adults after a stressful day at work. There are 19 songs on this CD, each specifically created to help you relax and meditate better. 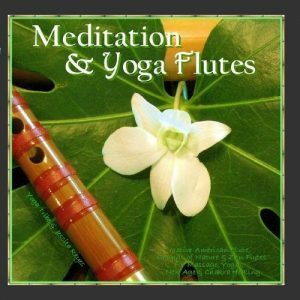 Listen to the calming sounds of the Native American flutes and be ready to explore new depths of your mind and soul. Apart from the beautiful flutes, you will also listen to the soothing sounds of the wind or rain that will help you reconnect with nature no matter where you are. 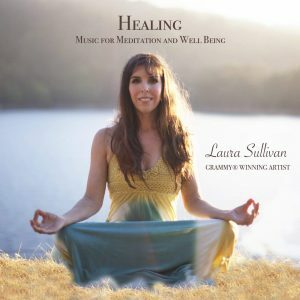 Each song is suitable for cleaning and healing your Chakras, therapy, massage sessions or in-depth relaxation sessions. Most customers who purchased the product claimed it is perfect for yoga sessions or as background music at the office. Sullivan is a Grammy Winner with a B.A. in Music, so leave it to her if you want to enjoy a relaxing afternoon. 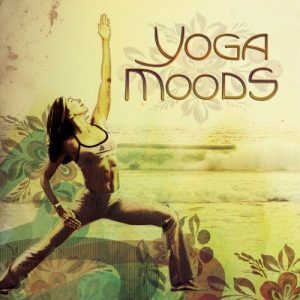 The songs on this CD are soothing and calming, perfect for yoga, massage sessions or as background music while working. Listening to the tracks on this album will help you meditate, find your inner balance, cure your energy or heal your soul. The songs are suitable for people of all ages, including newborns and pregnant women. 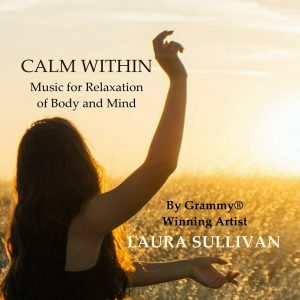 Surround your unborn child with peace and calm while allowing him or her to listen to some of Sullivan’s great relaxation songs. Are you looking for some new jams while performing your workout routines? This audio CD contains thirteen different tracks, specifically made to boost your energy or help you relax after a hectic day at work. Ten different artists are performing the tracks, meaning you’ll easily find a song that is suitable for you, depending on the activity you perform or your mood. The unique sounds of violin, mandolin, guitar, piano, and flute are perfectly combined with the sounds of nature to create the perfect atmosphere for you to relax and release tension. The songs are great against anxiety or stress but can also prove helpful at massage sessions or yoga sessions. The Gordon Brothers are renowned for their selection of unique sounds for Buddha-Lounge or Hotel Tara, and together with yoga instructor Beth Shaw have handpicked some of the most relaxing grooves to help during your yoga or relaxation sessions. The CD contains a fantastic line-up of global electronica artists, including Achillea or Peter Mergener. Each artist comes with a unique sound and blissful vocals to create a perfect atmosphere at work, at home or your spa center. Each song comes with good vibes, making it the perfect background music for yoga sessions, workout routines, dinners or relaxing with your best friends. As all yoga enthusiasts know, one of the most important factors that determine just how successful a yoga session is is the music. Because yoga is all about relaxing and being able to connect with yourself and your particular feelings, music has always been considered to be the right enabler to do so. As specialized research has shown, the best yoga music can aid the process of meditation and can help yoga practitioners forget about the day to day activities and worries. What is more, alike yoga, music is considered a good way of dealing with emotions and managing stress. Therefore, when combined, the two become a powerful device that can help people transcend into an out of this world state. Still, although we all have at least one song that helps us loosen up, it is important to understand that, when practicing yoga, a special kind of music has to be played. In fact, good yoga music is the type of music that influences your mood by calming you down and aiding you in balancing your body’s energy. Although yoga is regarded as a relaxing, unwinding activity, finding the best music for yoga is not that easy. This has to do with the fact that, nowadays, the internet is overflowing with loads of playlists and songs that promise to make you feel tranquil. And because it is quite a nuisance to pick the right playlist, we have decided to help you out by listing a series of aspects that you should have in mind while scouring the net for yoga music for meditation. First things first, before starting your search for that special playlist, we suggest that you take the time to decide whether you want to listen to the music alone, at home or whether you are looking for yoga music for class. Because when it comes to music we all have different tastes, it is important to understand that what you might consider relaxing might be annoying to others. For example, if you like slightly upbeat music due to the fact that it helps take your mind off of things, you should be aware of the fact that most people do not. Therefore, as a way of compromising, we suggest you make a personalized playlist that you can listen to when practicing yoga alone and stick to the type of music the rest find enjoying during yoga classes. Moreover, if you want to settle for something neutral that everybody will like we recommend that you download a playlist that contains nature sounds such as water falling or the wind blowing. Also, all those that like to stay active but also find yoga relaxing should know that there are playlists that can be used as yoga music for exercise. So, next time you are doing Pilates, or you need a musical boost while at the gym, we suggest you try listening to the music you usually relax to while practicing yoga. Similarly, many people find that yoga playlists are ideal for those people that have trouble falling asleep. Therefore, whenever you feel like you cannot cut yourself loose from the stress that keeps you wide awake at night, go online and search for yoga music for sleep and judge the results yourself. Another aspect that is worth your consideration has to do with deciding between choosing an online playlist or composing one yourself. While the online selections are usually regarded as fitting by yoga enthusiasts, most yoga practitioners prefer to create their own music lists. The reason for this lies in the fact that, once accustomed with how they feel during the yoga sessions, people feel inclined to search for songs that they believe are capable of making them loosen up. Consequently, it seems like creating one’s musical experience might be a better way to induce that unperturbed stage that many want to desire during yoga. Anyhow, if you want to do so yourself, we suggest you start the playlist by adding the seven Chakra Chants to your list. Suitable for both meditation and yoga, these songs are said to correspond to the seven chakra points in the human body. Moreover, they actually induce a paradisiacal mood to the people listening to them. Last but definitely not least, we feel the need to tackle a different angle when it comes to this topic. As you are probably well aware there have been voices that raised the concern that music should not be listened to while practicing yoga. The main argument brought in order to support this claim was the fact that music usually distracts us from our goal and makes it easier to channel our inner energy. Technically speaking, the assertion mentioned before is only half true. While it is obvious that noisy music is unfit to listen to while doing yoga the lyric-less songs that were created to help people relax are obviously fitting. Therefore, if you feel like you cannot concentrate during your yoga sessions, it might be a good idea to review your playlist and remove any song that has lyrics or an overly accentuated beat. Similarly, additional suggestions that might improve your experience include only choosing instrumental music that has no lyrics, playing songs at a low volume and refraining from playing any type of music during the last part of the session. By following these suggestions we are confident that you will be able to enjoy relaxing, wonderful sessions.